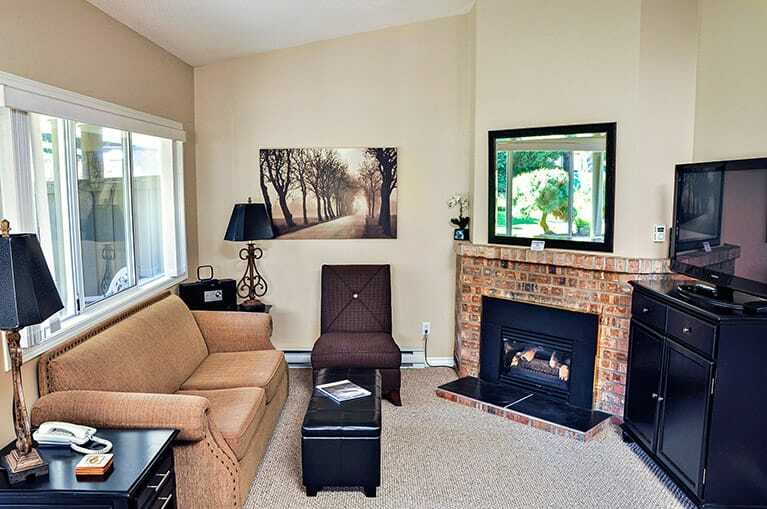 Are you looking for excellent value and spacious accommodations on Rathtrevor Beach? Look no further than Ocean Trails Resort! Our beautiful Parksville resort is nestled among seven lush acres and features 78 one, two, and three bedroom condos at an affordable rate – ideal for families and friends wanting to share the cost of spacious and comfortable accommodations near one of British Columbia’s most beautiful beaches. Along with fully-equipped kitchens where you can stock groceries, snacks, and drinks, each of our Parksville Beach resort’s spacious, well laid-out condos also features free wireless internet, washers and dryers, fireplaces, patios or decks, and TVs with DVD players. 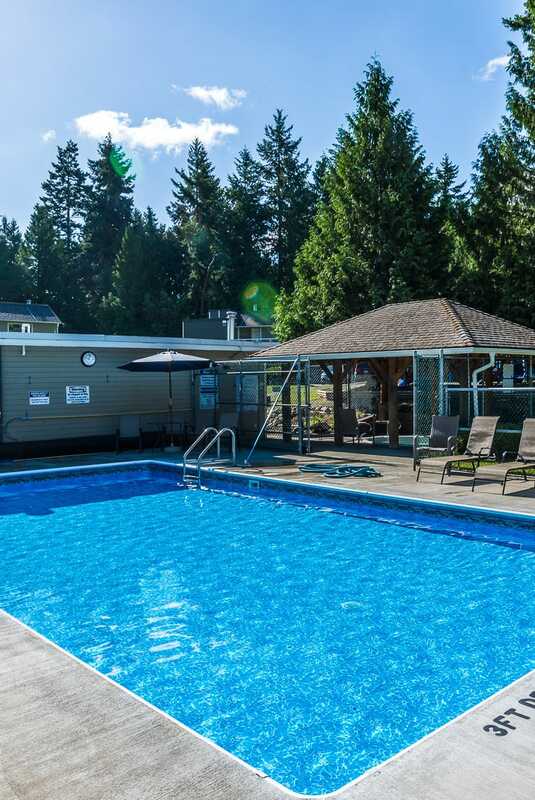 Located on 7 acres of green space with an outdoor swimming pool, 12 person hot tub, tennis courts, playground, there is something for everyone including fully equipped condos. 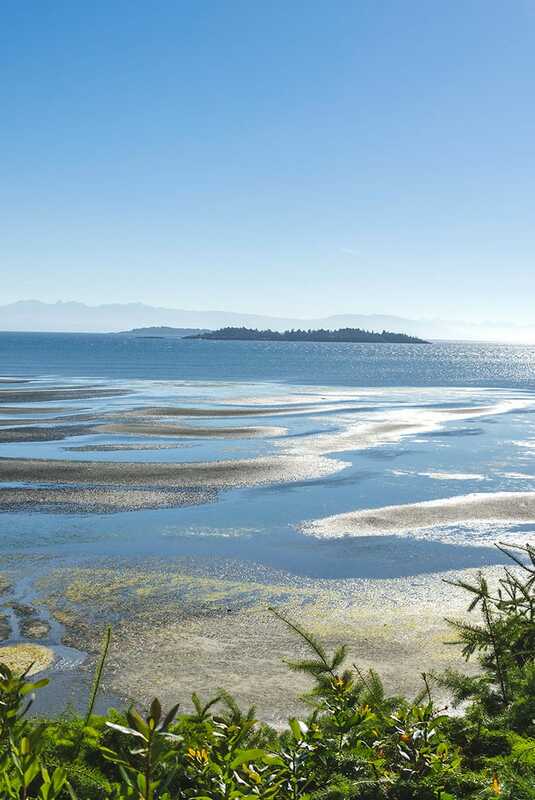 Just steps away from Rathtrevor Beach, a 5 kilometre expanse of sand on the Pacific Ocean. Shop, workout, stroll in beautiful gardens, and discover Parksville. The perfect place to relax and unwind for a few days, weeks, or months. 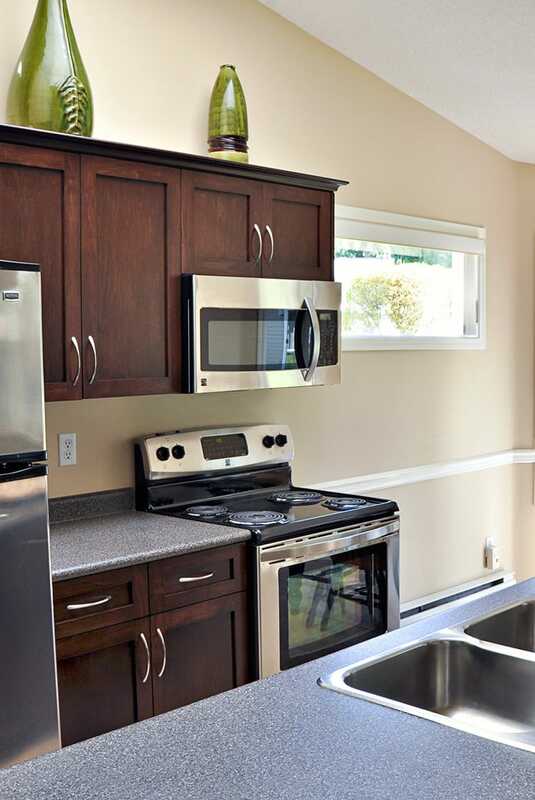 Our fully equipped kitchens include a full-sized fridge, dishwashers and stove, microwave, coffee maker and more. We have 78 unique suites in all three sizes, so staying with us means a new experience, every time. These units are set up with two queen beds or one King or Queen, along with two twin beds. You can sleep up to six people with the added double sofa bed in the living room. And you’ll have 850 square feet altogether, which includes a fully equipped kitchen, and, of course, the always essential coffee maker. "Beautiful place to stay at Rathtrevor Beach"
We stayed here in June. The property is so well maintained and nice. Our condo was squeaky clean and nicely set up. We had everything we needed. The front desk staff were friendly and helpful. We used the pool and hot tub. Both were great. The pool is heated. It was a 5 minute walk down to Rathtrevor Beach. Which in my opinion is the most beautiful beach on Vancouver Island. We will definitely stay here next time.